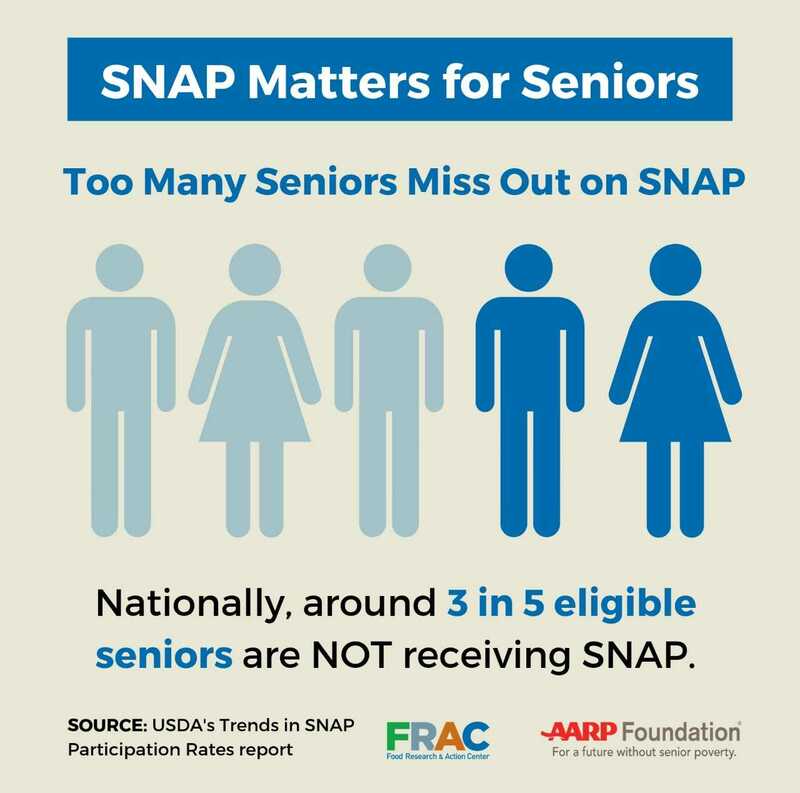 Spread the word about the senior SNAP gap! 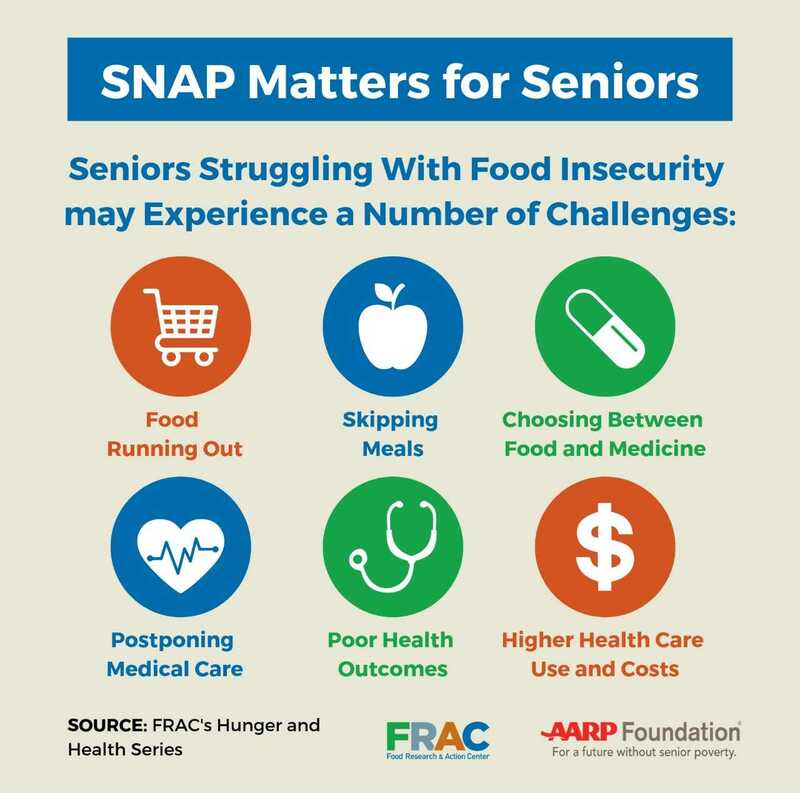 SNAP helps low-income seniors afford the food they need for their health and well-being, yet FRAC’s interactive data tools show that nationally, close to three in five eligible older adults, on average each month, are missing out on the benefits of SNAP. 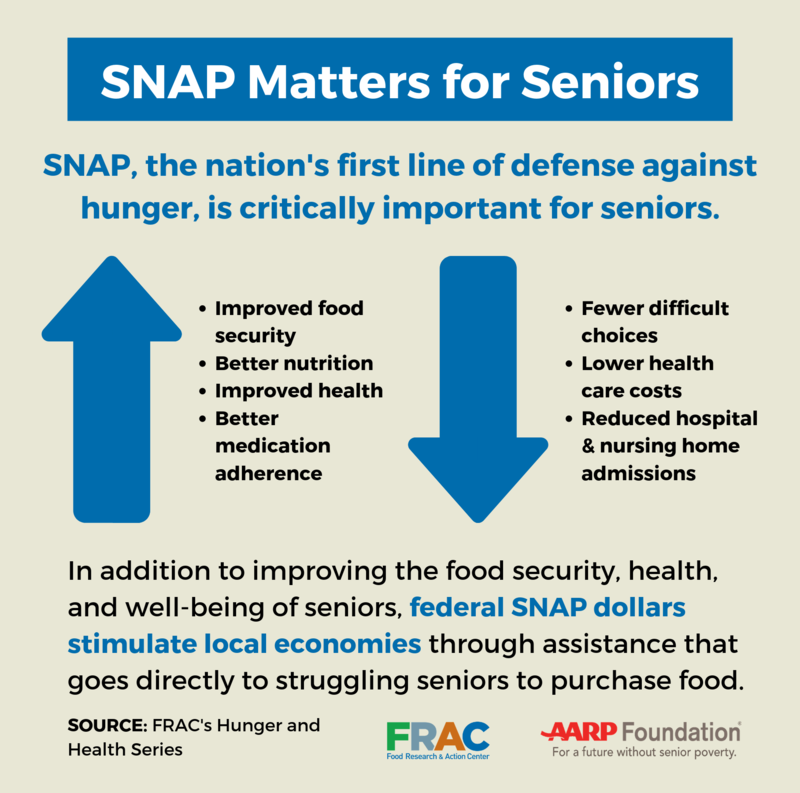 April is Senior Hunger Awareness Month, and we want to make sure you have everything you need to show policymakers that there are too many eligible seniors in your state missing out on SNAP. FRAC has developed a communications toolkit for states that includes a national news release, model news release for states, blog, video, sample social media, and graphics.